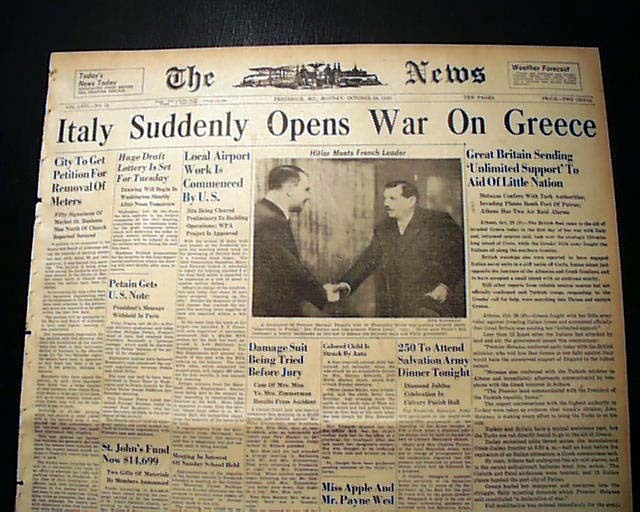 "Italy Suddenly Opens War On Greece"
with subheads. 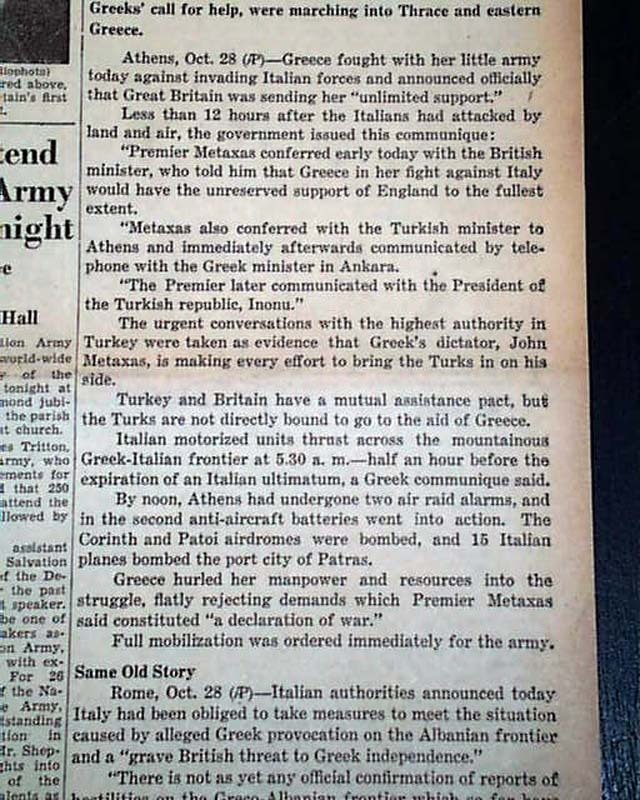 (see) 1st report coverage on the initial invasion of Greece by Italy known as the Battle of Greece. Other news, sports and advertisements of the day. Complete in 10 pages, minor margin wear, otherwise nice. wikipedia notes: The Battle of Greece was a World War II battle that occurred on the Greek mainland and in southern Albania. The battle was fought between the Allied (Greece and the British Commonwealth) and Axis (Nazi Germany, Fascist Italy and Bulgaria) forces. With the Battle of Crete and several naval actions, the Battle of Greece is considered part of the wider Aegean component of the Balkans Campaign of World War II. 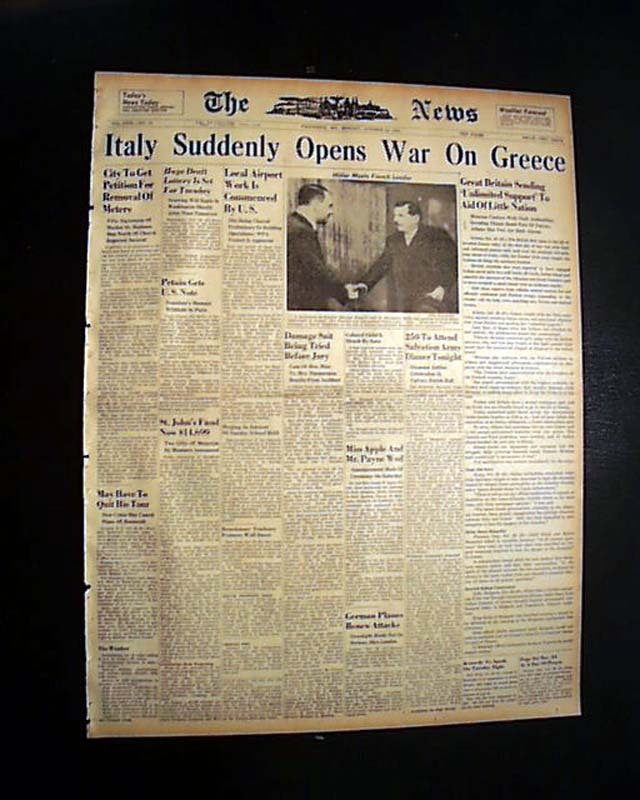 The Battle of Greece is generally regarded as a continuation of the Greco-Italian War, which began when Italian troops invaded Greece on October 28, 1940. Within weeks the Italians were driven out of Greece and Greek forces pushed on to occupy much of southern Albania. In March 1941, a major Italian counterattack failed, and Germany was forced to come to the aid of its ally. Operation Marita began on April 6, 1941, with German troops invading Greece through Bulgaria in an effort to secure its southern flank. The combined Greek and British Commonwealth forces fought back with great tenacity, but were vastly outnumbered and outgunned, and finally collapsed. Athens fell on April 27. 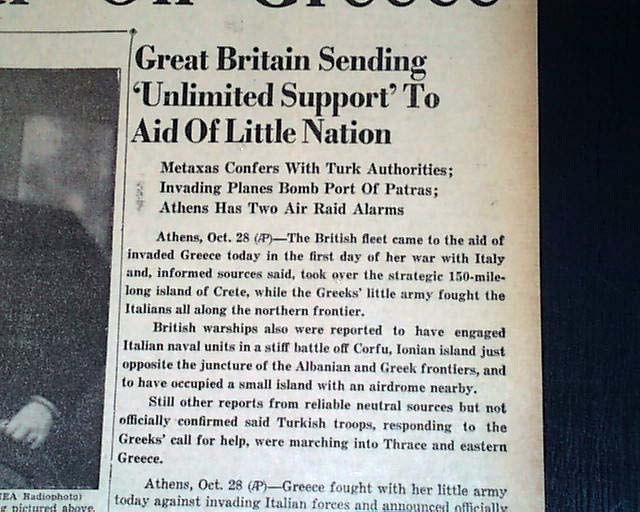 However, the British managed to evacuate about 50,000 troops.a[›] The Greek campaign ended in a quick and complete German victory with the fall of Kalamata in the Peloponnese; it was over within twenty-four days. 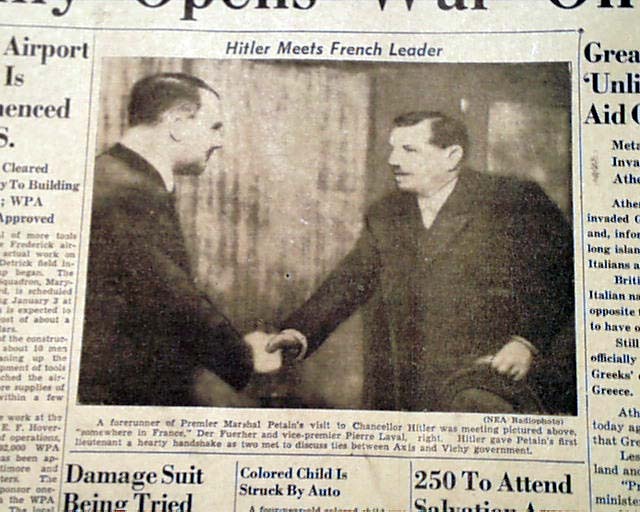 Nevertheless, both German and Allied officials have expressed their admiration for the strong resistance of the Greek soldiers.